Rusty Gum ( Angophora costata, MYRTACEAE ). 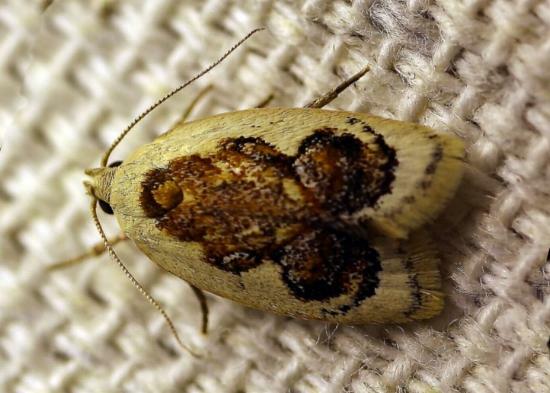 The adult moth has pale yellow forewings which each have brown markings including three overlapping brown circles along the hind margin.. The hindwings are off-white darkening toward the margins. The wingspan is about 1.5 cms. CSIRO Publishing, Melbourne 1994, pp. 298, 300. Volume 41 (1017), p. 113.